Dr. Paul McCartney is founder of the Round Rock Kids' Day phenomenon. As passionate about community service as he is about chiropractic care and health promotion, "Dr. Rock" has been involved with many non-profit and service oriented organizations and endeavors. Among these, he has been active in both the Round Rock Rotary and Round Rock Optimist Clubs, the Round Rock Chamber of Commerce, served on the board of directors for the United Way, and has been a leading sponsor of numerous organizations and individuals. 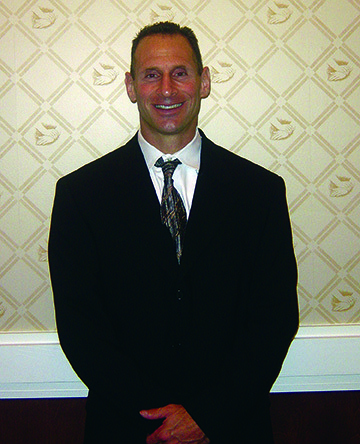 Aside from his extensive chiropractic practice, "Dr. Rock" also has over 30 years experience in weight training and is the proud donor of the Paul McCartney Scholarship at Slippery Rock University of Pennsylvania. "We are inviting all of our friends and neighbors to join us! Children from all our Central Texas communities are welcome!" expresses Dr. McCartney of ROCK Chiropractic. "Round Rock Kids’ Day is sponsored specifically for children and their parents, providing lots of fun, free prizes and balloons for the children, great information and an opportunity for our community to come together for a good cause – our children and our families." Julia Meek Chambers is co-founder and Director of Operations for Round Rock Kids' Day since its inception in 1998. She has helped non-profit organizations and fundraisers and has served local communities since her early teens. "I came by it honestly. Mom was always in charge of organizing some worthy cause. She helped lead the statewide seatbelt campaign in Oklahoma, various American Red Cross disaster education campaigns, PTA, Cooperative Extension, the County Fair, church - you name it, she was deeply involved. And we kids got to help her out too. Later, I began to receive my own appointments and projects. She really taught me so much that has really served me, and others, well." "We look forward to providing a fun filled day for 500+ children this year. Our biggest year, somewhere around 1200-1400 people showed. We're not even certain how many children there were. We ran out of EVERYTHING! But everyone had a blast and there was so much positive feedback. There's never any sure way of telling what kind of attendance each year will bring, but we keep getting requests to continue again and again each year. And each year has maintained a solid level of attendance." "The day is dedicated to the health, safety, development and welfare of children everywhere, and provides a voice for local services and programs that specifically benefit children and their families and a venue to bring those families and sources together under a fun and friendly atmosphere. It’s a very unique community endeavor and is provided free to the public." "We would like Round Rock Kids’ Day to continue as an annual tradition," states Mrs. Chambers. "Interest and demand for it is growing. But its existence and success depends entirely upon people of the community. Even the smallest measure of support lends a hand to help make this an event of truly spectacular quality." 111 E. Old Settlers Blvd.